Produced in 1943 at MGM by Arthur Freed and directed by Vincent Minnelli, “Cabin in the Sky” is the 1st all Black film produced by a major studio in Hollywood. 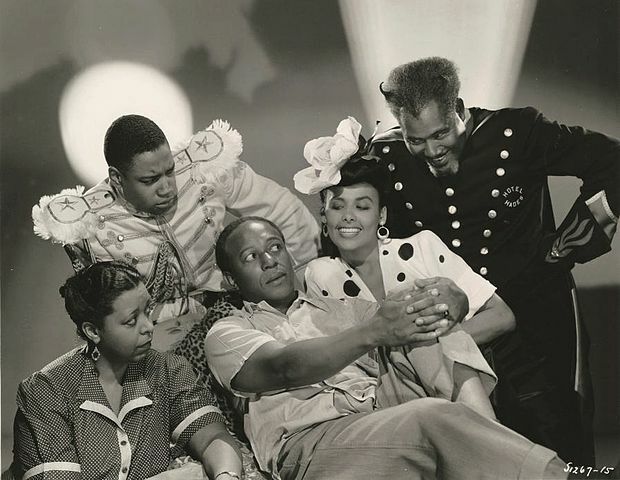 “Happiness is a Thing called Joe” was nominated for an Academy Award for Best Original Song and sung by film’s star, Ethel Waters. This musical take on Faust pits Little Joe (Eddie “Rochester” Anderson) against Luther Jr. (Lucifer’s baby boy). Enter temptress Georgia Brown (Lena Horne). Does Little Joe’s wife, Petunia (Ethel Waters) even stand a chance or will Joe be condemned to Hell? Of course I won’t give it away. Want you to enjoy the full ride.